Dr.Manfred Gerstenfeld: Does Foreign Country Plan To Interfere In Israeli Elections……? – The Tundra Tabloids……. Dr.Manfred Gerstenfeld: Does Foreign Country Plan To Interfere In Israeli Elections……? 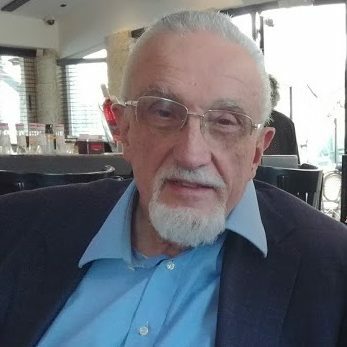 Dr.Gerstenfeld’s article about the second week of the Israeli Election Campaign has not been published anywhere else in English, and posted here with the author’s consent. DOES FOREIGN COUNTRY PLAN TO INTERFERE IN ISRAELI ELECTIONS? Polls continued to be carried out with great frequency. On December 30, 2018, as many as six polls were published. Also from polls since a picture emerged that if elections were held now the Likud will remain the biggest party and may get about the same thirty seats it currently holds. Three parties are contending for second place. Yesh Atid (There Is a Future), the Joint List (a grouping of Arab parties) and Hosen Yisrael (Israel Resilience) led by former chief of staff, Benny Gantz. The latter has still not announced his program in any detail. Each of these parties are expected – according to most polls — to receive at least 12 seats.3 As there is so much competition between the polls, several of them insert additional questions to set themselves apart. A multitude of parties poll just above or just below the election threshold of 3.25%. This leads to much speculation about who will team up with whom in order to enter the Knesset. As the campaign heats up personal insults will increase. Retired General Yoav Galant took aim at two other retired generals. Galant was Minister of Housing and Construction in the outgoing government on behalf of the Kulanu party. He will now join the Likud. Galant said he knew why former chief of staff Gantz was silent, saying “Thousands of officers who served under him know why he is silent… when you have nothing to say, you stay silent.” He then spoke about the possible collaboration of Gantz and former defense minister and chief of staff, general Moshe Ya’alon, saying “It is a collaboration between one without opinion and one without mandates.”6 Galant and Gantz may well be competitors for the position of Minister of Defense in a new Netanyahu government. The Joint List consists of four Arab parties who ran together to assure that all of them passed the threshold for the 20th Knesset. MK Ahmed Tibi, head of the Ta’al party, has now announced that his party will leave the Joint List. This week was also characterized by the passing of Netanyahu’s main mentor in his career. Moshe Arens died at the age of 93. On behalf of Likud he has been Defense minister three times as well as Minister of Foreign Affairs. While Israeli ambassador in the U.S he hired Netanyahu at the embassy. Later he appointed Netanyahu as ambassador to the United Nations. Previous Post Previous Post Finland: Shooting incident in Turku, Perno – five foreigners arrested……. Next Post Next Post Finland: Former Iraqi soldier who cut off dead ISIS terrorist’s head sentenced in Finnish district court, “It’s normal back home”…….